The India Economy is the Eleventh Largest in the World and Growing. The India Economy is the world's eleventh largest by Gross Domestic Product, and the world's fourth largest by purchasing power. India experienced fast economic growth in the 1990s, after economic reform took place. This economic reform was put in place as part of a socialist economy promoted by the the government of India. This happened in Post-Independence India, meaning the time period in India's history that occurred after India gained its independence fromBritain's rule. In Post-Independence India, markets began to open for international trade and competition and investment opportunities developed for India. India today, is a growing economic power with an enormous population! India has manpower and natural resources at its fingertips. It's also a front-runner for the information technology industry. Many countries have looked to India to outsource their services for them. Services such as telephone and IT customer service are ideal for outsourcing to India. Some Economists have predicted that India will be one of the world's economic leaders by 2020. To better understand what drives business in India, it's important to understand India business culture and modern Indian culture. Understanding the culture of a country is important because the culture, lifestyle and work ethic of a country directly influence its economic strength. From 1947 through 1991, India was under social democratic policies. Over-regulation slowed its growth, so did protectionism, public ownership, and corruption. Since 1991, more liberal economic governance has moved the economy towards a market-based system. Better economic reforms and policies in the 2000s helped speed up India's economic growth. In 2008, India was considered the world's second-fastest growing major economy. In 2009, the India economy slowed down when India's official GDP growth rate remained at 6.1%. 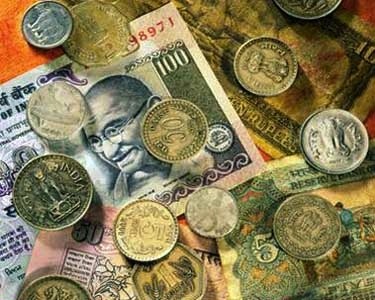 India had the return of a large projected fiscal deficit of 6.8% of GDP, this was one of the highest in the world at the time. India's service industry accounts for more than 62% of its gross domestic product, while the industrial and agricultural sector contribute 20% and 17.5% respectively. Most Indians work in agriculture. More than 52% of the employed contribute to this sector. The service sector makes up about 35%, and the industrial sector contributes around 13%. There are more than half a billion people working in India today. India's primary agricultural products are rice, wheat, oil seeds, cotton, jute, tea, sugarcane, potatoes, cattle, water buffalo, sheep, goats, poultry and fish. Its primary industries are telecommunications, textiles, chemicals, food processing, steel, transportation equipment, cement, mining, petroleum, machinery, information technology enabled services and software. India's per capita income is $1,030, ranked 139th in the world, but its per capita in the United States is at $2,940 and is ranked 128th. Previously a closed economy, India's trade has grown fast. India currently accounts for more than 1.5% of World trade, as of 2007, according to the World Trade Organization. We can expect the India Economy to continue in the direction of strong growth as India grows to become the world's most populated country. Leave the India economy to discover India culture. Find the India Economy Exchange Rate here. Traveling for business; here are some tips for traveling to India.